There is no reason to believe Buzzfeed, Salon, or any of those far left “news organizations.” They are full of a supposition that is intended to paint President Trump in a bad light, make him look anti-American and drive down his public polls numbers. Anything full of so much blatant opinion with no supporting facts is garbage. On Friday, Buzzfeed proved that to be true. Buzzfeed released a “bombshell report” this week. The article claimed that there was evidence proving Trump told his longtime personal attorney Michael Cohen to lie to Congress about a Trump Tower project plan in Moscow. The authors, Jason Leopold, and Anthony Cormier claimed the information came from two law enforcement officials involved in the investigation. Soon after publication, CNN had Cormier on to talk about the report. During the line of questioning, from Alisyn Camerota, Cormier admitted he had not personally seen the evidence causing a conservative media backlash. Buzzfeed released a statement to back their reporters; even the ones whom they hire after a proven history of false reporting like Jason Leopold. Later in the day, the Muller team rejected the Buzzfeed report. Shortly after that, Buzzfeed released another statement saying that the Mueller officials need to be more specific. NBC’s Chuck Todd was giddy while reporting this “significant” development on the “Today Show.” Todd, however, threw in the caveat “if true” several times as if he was not sure but wanted to talk about the allegations. The Buzzfeed story is a microcosm of left-wing media malpractice. The editors are so intent on getting Trump that they throw ethics to the wind. They are told something by an alleged anonymous source and run with it, feeding information to the public not caring about the outcome. It does not matter if the American public gets the truth as long as there is a negative cry against the president. This is unethical, irresponsible, dangerous, and harmful. Somehow, Buzzfeed and others feel that they must push their liberal agenda regardless of the costs. The American electorate voted, and Trump won the Electoral College. Period. It is fine that they are not happy about their results, but it is not their duty to lie and mislead. Americans want the truth. We need the truth. Not an agenda. The legacy media has become ethically-blind in their venture to oust the president. Under Democratic presidents, the leftist news has withheld critical information that one would have to read Conservative outlets to learn and the same applies for Republicans. But under Trump, the media has gone off of the rails. They cannot control him with allegations and accusations. Trump uses Twitter as a way to get around strategic news editing, and it makes them irate. Fully expect Trump to take this failed “bombshell” and run with it. Since the media began their assault on him as a candidate, Trump has pushed back against left-wing media attacks. His retaliation has been justified, and the press has validated and vindicated his rebukes. They are self-destructing. Buzzfeed and all the others are their own worst enemy. When someone is wrong, the best thing they can do to save face and hold on to some respect is to apologize, learn and not make the same mistake again. But the leftist media refuses to do that and this is why no one respects them. 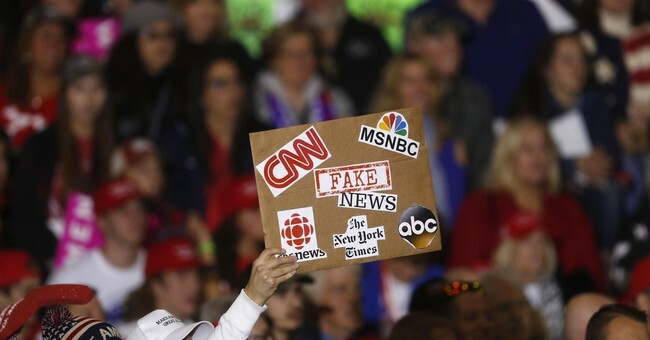 The media was horrified when Trump started calling them the enemy of the people. The left pushed back claiming that was somehow dictatorial and undemocratic, but all they have done is prove him right. Leftist media is the enemy. Any entity that will lie to you and be proven wrong time and time again is not your friend. Last night on CNN Chris Cuomo was not happy with Mueller. He stated,” Mueller didn’t do the media any favors tonight” referring to the released statement. I did not know Mueller worked for the media. Was he supposed to let this Buzzfeed article fly with no correction so left-wing narrative pushers could continue a false story? Cuomo said a lot more with that statement than intended. He further proved Trump’s statement that the press is the enemy of the people. Leftist media needs to stop wallowing in self-pity. They created the untrustworthy image for themselves. The result is a matter of biased choices gone wrong. Trump did not make them lie. Buzzfeed chose to run a story that was disputed by Mueller. One would think an investigative journalist would want to at least see the evidence before sticking his neck out. Especially one that already has credibility issues such as Leopold. Buzzfeed proved they are fake news and anyone else who propped the story up. If a news organization wants to be respected and taken seriously, then they should report the facts and let people think for themselves. Otherwise, people will laugh heartily at them, and they will deserve it.